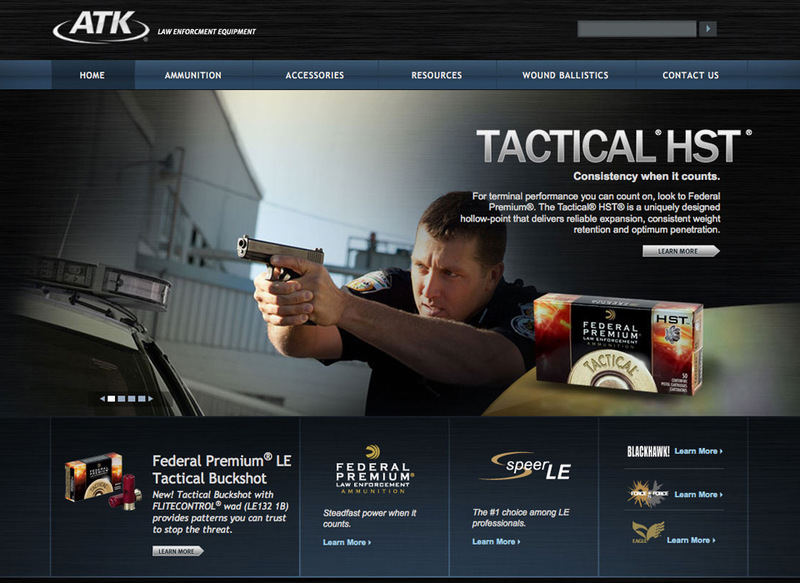 Alliant Techsystems (ATK) is a multibillion-dollar aerospace, defense, and sporting goods company. 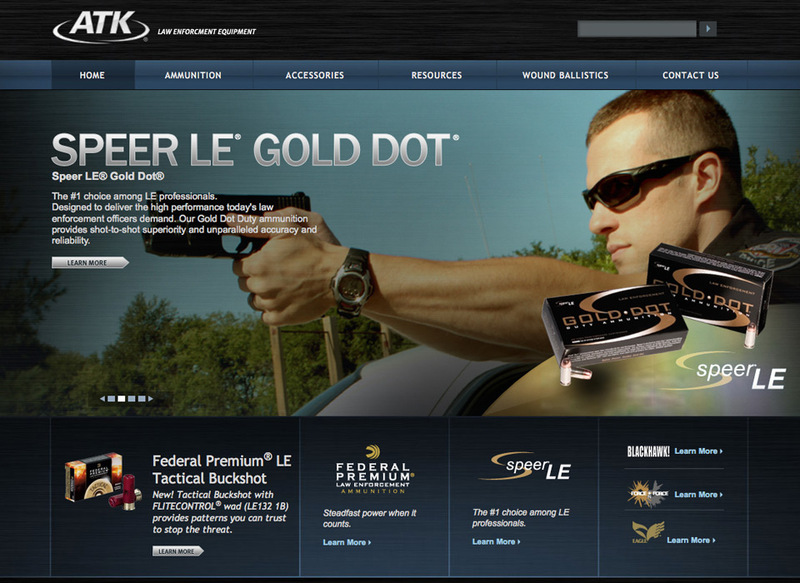 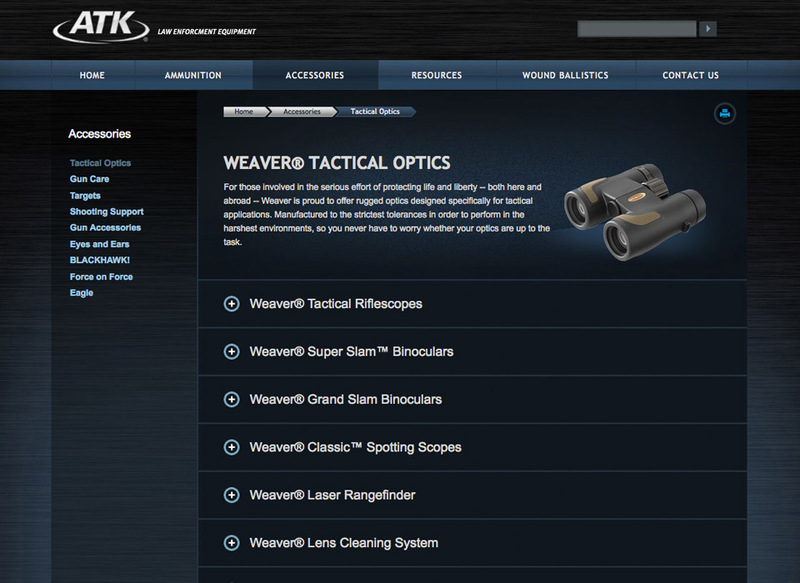 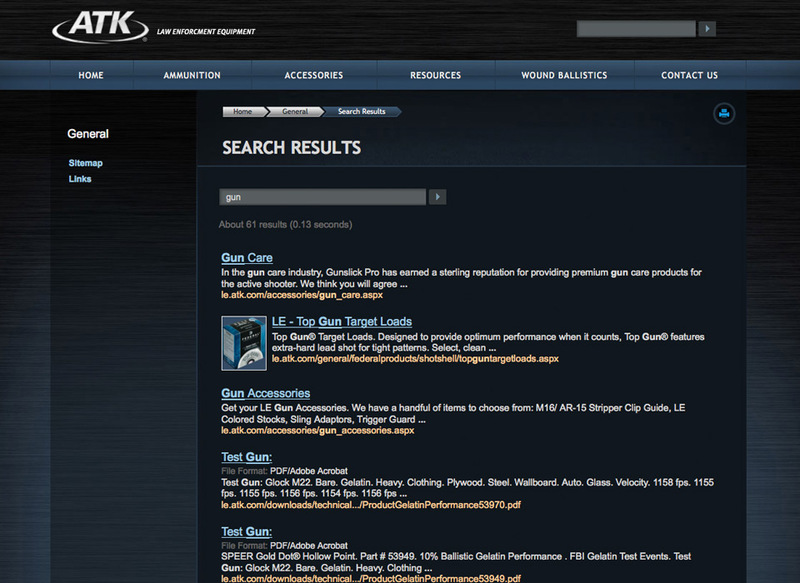 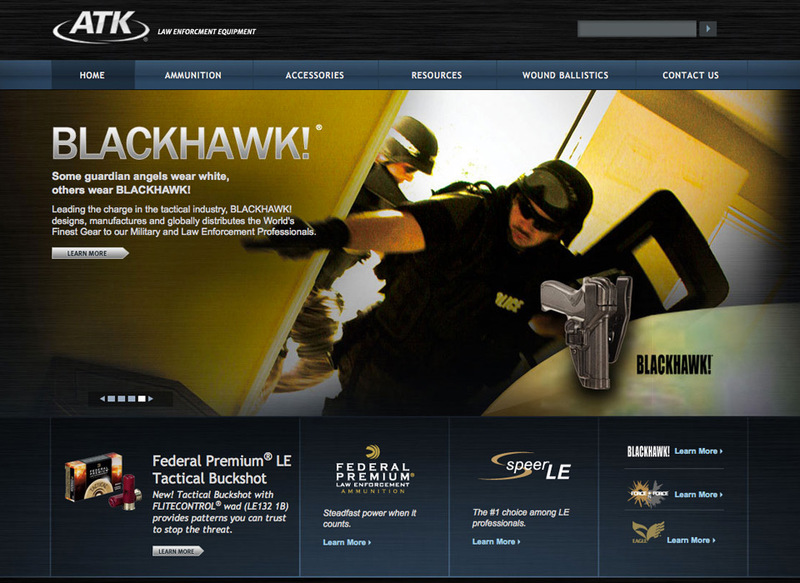 ATK partnered with us to create a new website that featured their top of the line law enforcement equipment. 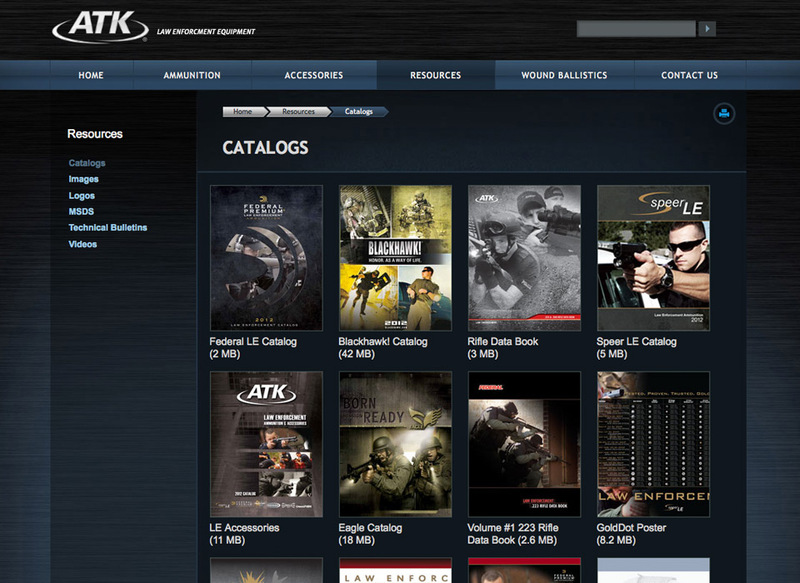 In addition to highlighting the features of ATK’s products, the site gives users the ability to view and download product catalogs, images, logos, material safety data sheets, technical bulletins and videos.